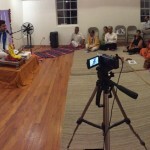 Sri Ramanujamji’s 5-day program in Orlando titled “Sampoorna Krishna Katha” was very well received and enjoyed by everyone. 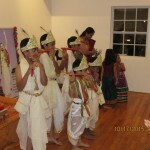 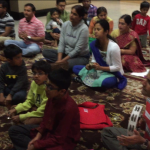 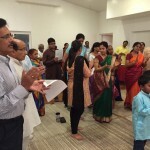 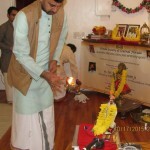 The program was held at Casselberry Hindu temple – New extension from October 16 through October 20 2015. 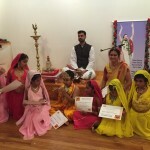 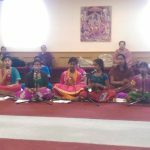 Although the program was held during Navaratri and Golu, about 45-50 people attended on an average and enjoyed the divine Krishna katha. 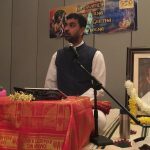 Sri Ramanujamji enthralled the devotees with beautiful discourses on Adhikari Skanda and Sri Krishna Jananam for the first two days. 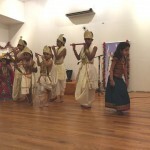 Prior to Sri Ramanujamji’s discourse, the program began with the rendition of Sri Swamiji’s Madhuragitams followed by dance performances by local artists and Orlando Gopa Kuteeram kids beautifully depicting the different leelas of Krishna in Gokula. 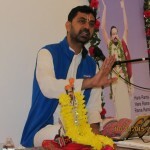 Sri Ramanujamji transported the listeners to Brindavan and Gokula with his beautiful exposition on various Krishna Leelas -Putana Samharam to Rukmini Kalyanam on the last three days. 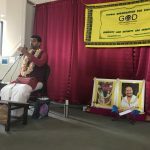 Ramanujamji’s beautiful account of each Leela with raasikya bhava filled the atmosphere with divinity and the devotees experienced the lord’s divine plays with tears of joy and laughter while relishing the mischievous acts of Bhagawan in Gokula. 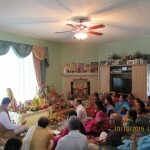 Radha Kalyanam was held on October 18 at the residence of Sri.Madan Gopal Ji and Smt.Vyjayanthi ji. About 35 people attended the divine marriage, and were blessed by Sri Ramanujamji’s presence. 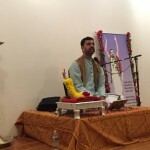 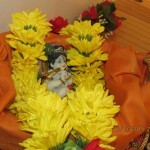 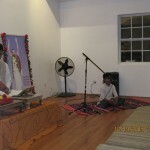 Sri Ramanujamji led the ceremony with various kirtans composed by Sri Swamiji, Sampradaya bhajans and Astapathis. 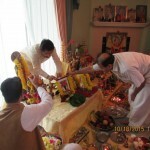 On the final day of the program, priests and executive committee of the Hindu temple felicitated Sri Ramanujamji for showering Orlando devotees with the divine grace. 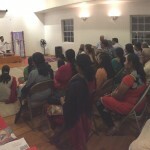 Attendees were spellbound by Sri Ramanujam ji’s exposition of Katha, and many were eager to be part of the GOD satsang going forward. 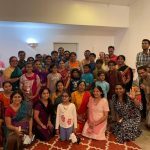 Sri Ramanujamji’s Orlando satsang trip concluded with a prrayer session, praying to Sri Swamiji to bless the Orlando devotees with more and more satsangs.